Counter-Strike Global Offensive > Your favourite storyline of major so far? Your favourite storyline of major so far? Ence's young superstars guided by the experience of on fire god allu? Renegades become the first australian legends? Coldzera back to dominating with Taco back as his support player Liquid choking in quarter finals? 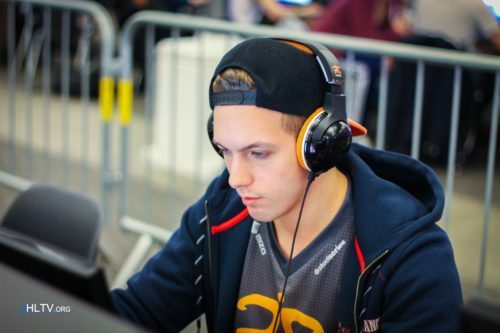 Flamie finding great form consistently for Navi for the first time in ages? Any others? pay2win what did you expect from Danish site? Imapet interview: How far do you think you can go here? "I think we could reach top eight, for sure. At minimum, we won't be at the next Minor. (laughs)"
nip ending astralis' nuke run !!!!!!!!!!!!!!!!!!!!!!!!!!!!!!!!!!!!!!!!!!!!!!!!!!!!!!!!!!!!!!!!!!!!!!!!!!!!!!!!!!!!!!!!!!!!!!!!!!!!!!!!!!!!! Haha I have to oppose you on MIBR because of my loyalty to the boys, but with NiP I have faith! It's been a major full of upsets so an in form nip could definitely take it away from astralis. An Australian team making the playoffs is already the highlight. Encememedreamteam, pushing on has been great to watch. Aleksib showing IGL's how to frag hard. NiP still in it to win it. These playoffs are going to kill my stomach with nerves.